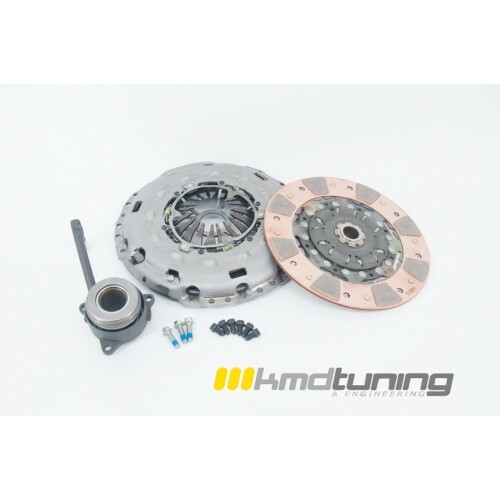 KMD Tuning is proud to present a street or track clutch kit for the daily driver or weekend racer. - Modified Audi TT-RS Pressure Plate with custom made ceramic-metallic disc for a full contact surface. - Unlike some clutch kits on the market that use a wider face disc which will cause an overhang, the KMD Tuning Clutch Kit is designed to work with the full diameter of the Audi TT-RS pressure plate. 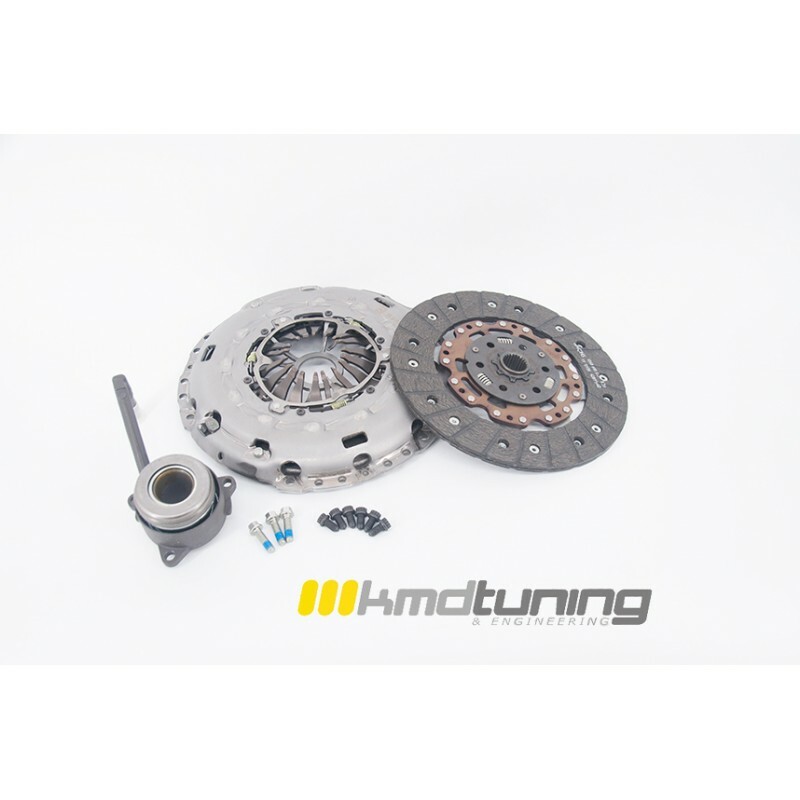 - The Street disc is thicker, which offers a longer life from the clutch and holds 495TQ. - The Track disc, in combination with the TTRS pressure plate, can hold up to 530TQ with a shorter life. - The Daily disc offers the longest life with the factory driving experience and can hold 480TQ. - The eight ceramic-metallic trapezoidal-shaped buttons have a very low inertia. - Ceramic-metallic button clutch is designed to operate at high working temperatures without fading. - Button type ceramic-metallic plates use only about 50% of the flywheel and pressure plate surfaces during clutch engagement. This improves heat transfer by as much as 100%. - Ceramic-metallic button-style clutch facings are very durable and have the unique ability to grab better as it heats. - Button type pads do not warp during use. - Button type pads prevent scoring of the friction faces, as they allow the dust worn from the friction surfaces to be thrown clear of the clutch areas. - Ceramic-metallic materials are less sensitive to grease and oil contamination. - The eight ceramic-metallic trapezoidal-shaped buttons have a very low inertia and the organic side offers a longer life. - Ceramic-metallic button-style clutch facings are very durable and have the unique ability to grab better as it heats. While the organic side offers a more street feel. - Button type pads do not warp during use but the organic side can warp under exsessive heat. - Ceramic-metallic materials are less sensitive to grease and oil contamination but the organic side is sensitive to contamination. - Full face organic disc for longer life. - The full face offers a stronger then factory material with a stock like feel. - Using a full face disc elimantes any clutch chatter on engagement. 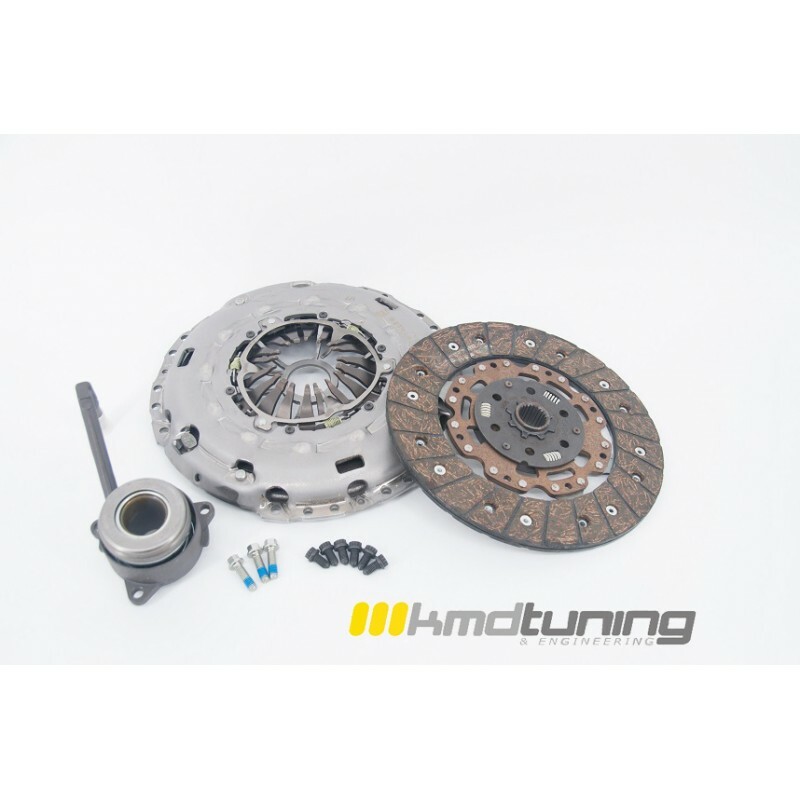 - This clutch system maintains a stock feel while offering strength and durability.